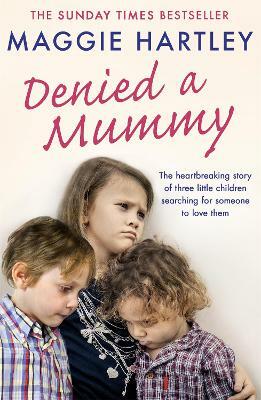 Denied a Mummy: The heartbreaking story of three little children searching for someone to love them. When Maggie's latest placement arrives on her doorstep, it is clear that Sean, Dougie and their big sister Mary have been through unspeakable traumas in their short?lives. Violent and malnourished,?the siblings have been left to fend for themselves by their drug-addicted parents. Maggie must use all of her skills and experience as a foster carer to help these damaged siblings to learn to be children again. With much love, care and patience, their behaviour gradually starts to improve and social services start looking for a forever family for them. But alarm bells start to ring when Maggie meets the couple who have been matched to adopt the siblings. It is clear that they're looking for the perfect, ready-made family, and they're not going to get it with these vulnerable brothers and sister. Despite raising her concerns with social services, Maggie is powerless to prevent the adoption from going ahead and she must put aside her own fears to help the siblings settle in with their new parents. But she can't shake the feeling of dread as she waves them goodbye. A few months later, Maggie's worst nightmares come true when she learns that the children have been handed back to the care of social services following the breakdown of the adoption. Maggie must fight to get the children returned to her, but is it too late to undo the damage that has been done?